It is time to lepak on the Loof again! 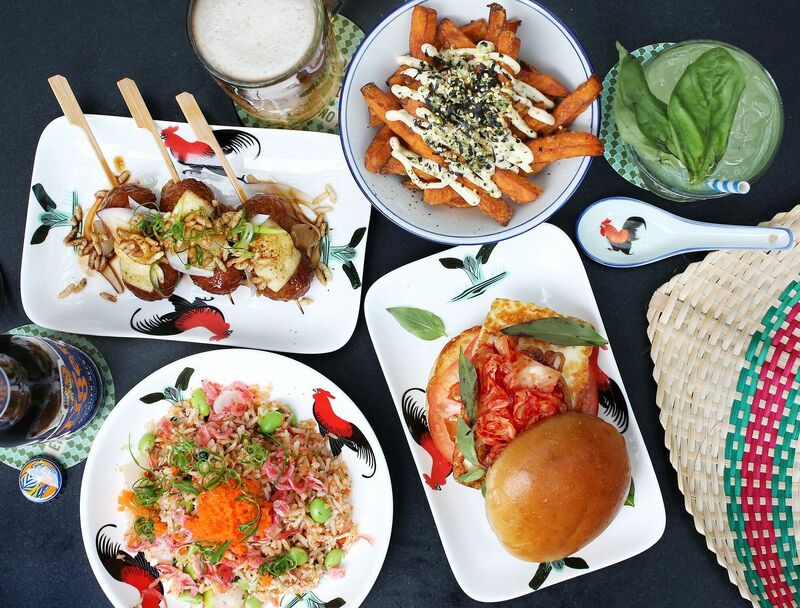 Singapore’s favorite standalone rooftop bar has been given a face lift and they invited ‘King of Dude-stronomy’, Chef Bjorn Shen of Artichoke and Bird Bird to give the menu a touch of his signature 'Dude-Sin' twist. For the unacquainted, Dude-sin cuisine is bar grub/comfort food that we, pretend-Singaporean-adults (with cravings of a 6 year old) wanna eat in the middle of the night. Inspirations are drawn from our collective childhood memories of mama shop, Zichar stalls, fast food and more. Chips with dips, Skewers, Buns and Bowls, the new menu has a mix of dishes from snacks to fuller heavier meals. 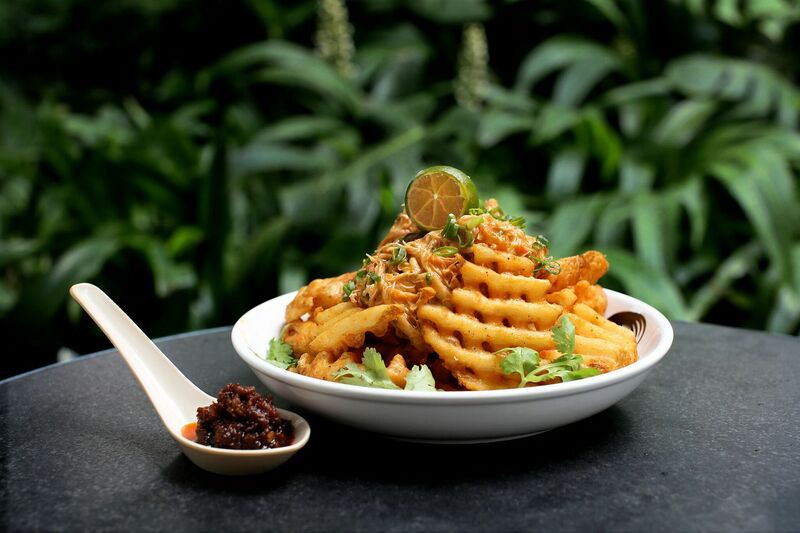 Old time Loof fav of Chilli Crab Fries ($15) has been given a facelift. The blue crab dip is now served cold, with more citrus lime flavor, and sans cheese. Refreshing it was, but a hot dip may work better to comfort one's soul (i feel the same complains of the regulars). What's better than tacos? FRIED WANTON SKIN. 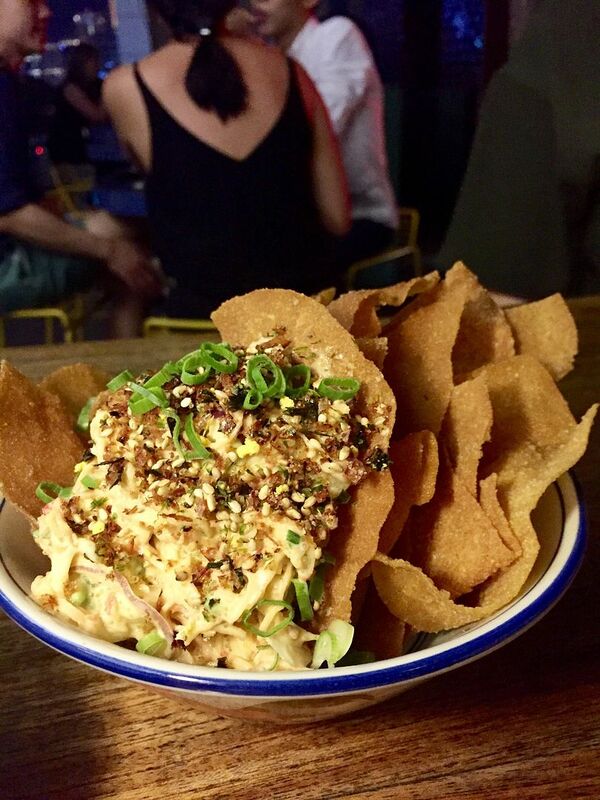 Presenting the Asian tacos that is the California Crackers ($14). Glorious golden brown wanton skins will now hold some California roll mayonnaise mix of ebiko, avocado, edamame, and furikake. A bite of this dish will deceive your stomach of its exploding state (after many other dishes) and have you devour more food after. SCARY. The only thing i didn't like was the rather overpowering alkali taste of the wanton skin. I don't know about you but i grew up on Tulip Cocktail Franks that came out of a can and the Bacon Lollipop ($16) reminded me of just that! This is but the upgraded version made out of salty pancetta nuggets, glazed with maple syrup, groundnuts, and pho herbs. Bjorn's Twisties Charred Corn ($13) will solve the timeless struggle of choosing either the Cheese or Curry flavored Twisties by marrying the both! A juicy Hokkaido corn (that costs as much as Kurobuta pork) is grilled with curry mayonnaise and cheese and somehow this combination produced a salted egg flavor! Fancy a carbless burger? 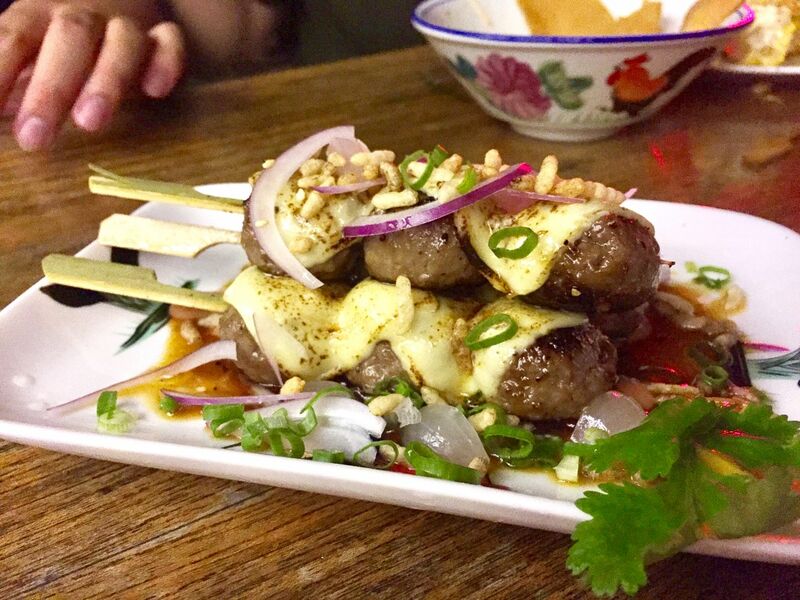 Have the Cheeseburger Yakitori ($18) which uses all-wagyu meatballs, melted with American cheese. 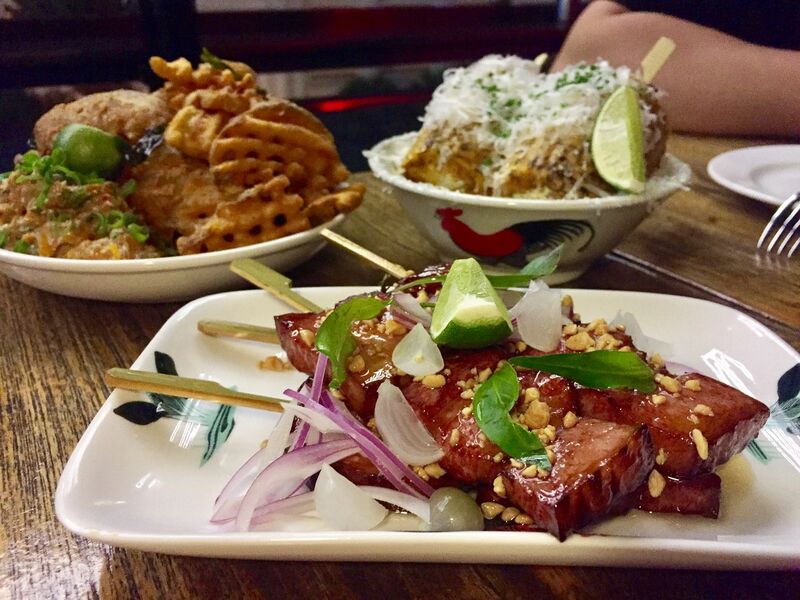 The Singaporean twist lies in the sauce, a marmite honey that we just wanna mop up. Delicious! If you need something heartier, there's some Fried Lice (SG style) but i'd say go for them BUNS. 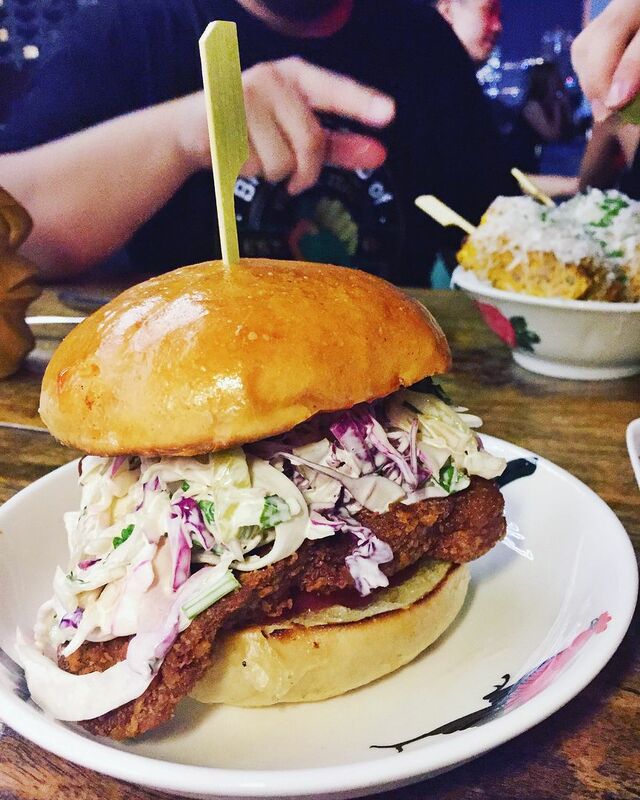 The Pork Chopper ($19) is the pork version of a Zinger Burger we swear! The chunky tender slab of pork collar is prepared Zichar style (tenderized using bicarb), coated with cream crackers (childhood love) and fried, then powdered with five spice a la XL chicken cutlet, slathered with a spicy chili ketchup mix, slapped with some coleslaw with giam chye (preserved veg) and sandwiched between 2 buns. MUST ORDER. Don't fear the salted vegetables, it's fairly mild in this one but will still give you some of that Ah Ma feel. The B.C.M. 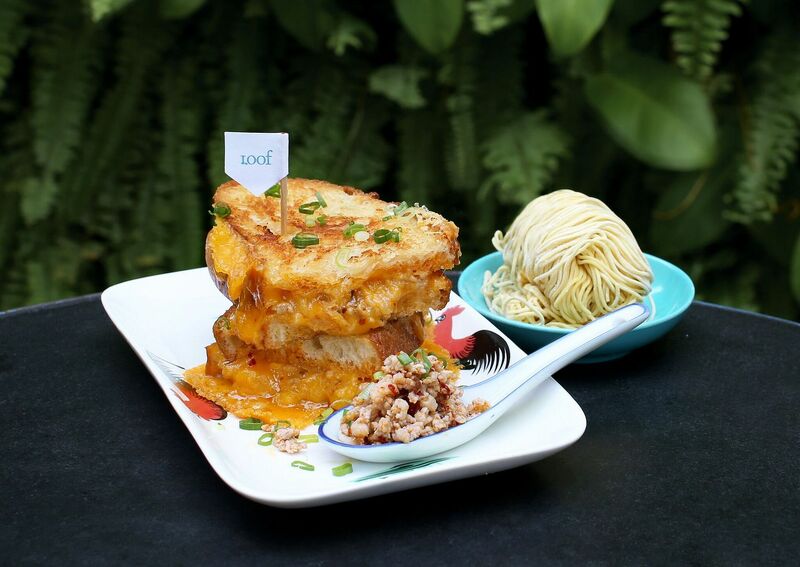 Grilled Cheese ($18) presents our favorite ‘Bak Chor Mee’ (minced pork noodles) in sourdough sandwich form. 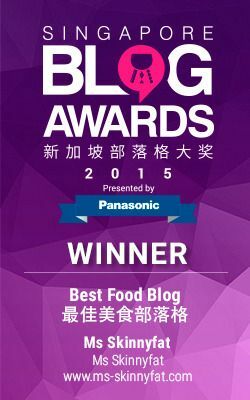 The bread is stuffed with cheese and minced pork and mushrooms, and given a lovely golden cheese crust all over. While the filling was saucy and tasty, it was lacking the vinegary punch that i was expecting from a BCM. Also, I would pick briocheinstead of sourdough to give more fluff to the overall bite. Some sambal on the side would have completed this dish. I really wanna try the Loof Original Ramly ($23) but unfortunately there was no stomach space left after all the above! Well it's not only about food, even the refreshed cocktail list is very local. Looking for desserts? The Kaya Lumpur ($19) has a light hint of pandan kaya in the pineapple rum drink. 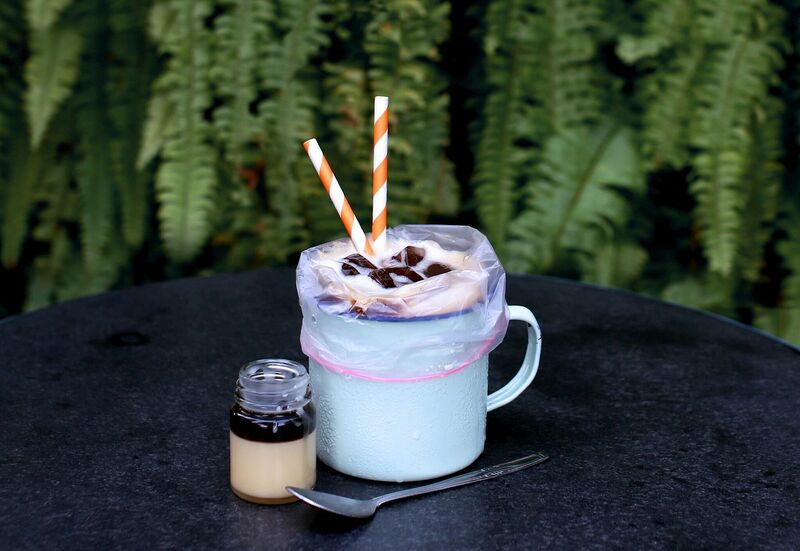 Or how about Kopi to keep you partying all night? The Kopi Cat ($19) is a delicious kopi-hazelnut-caramel-black salt vodka mix which tastes exactly like the Kopi Ko sweet! 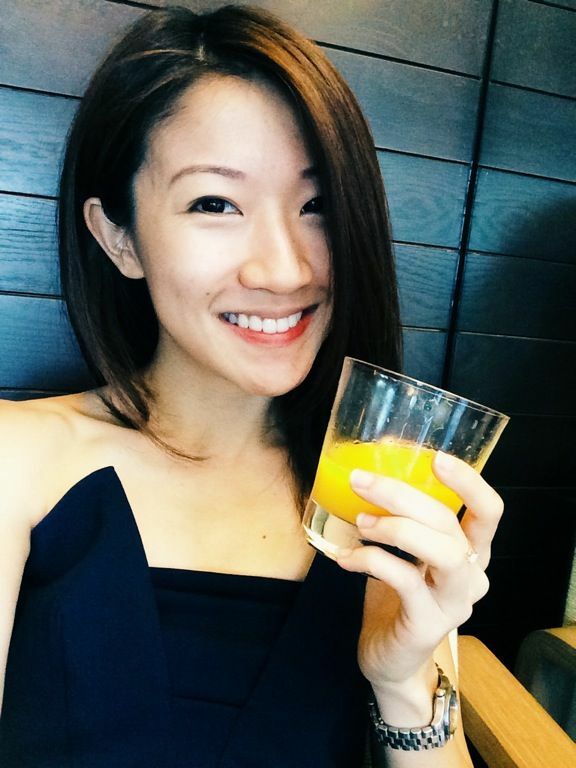 Something refreshing to have is the Singapore Sour ($19)- a sour plum calamansi vodka. With the brand new offerings, you can be sure that the Loof is gonna get more crowded than ever. 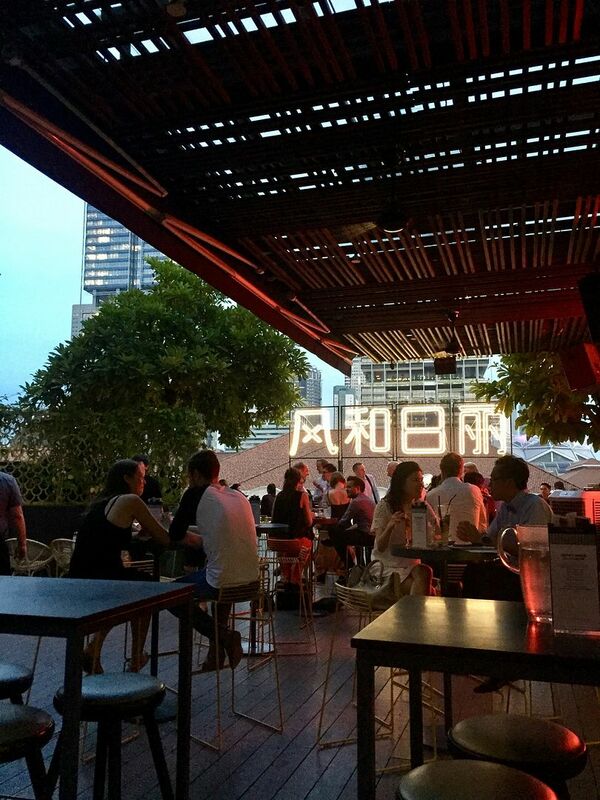 Make sure you get a table, or even better, go early to enjoy their weekday happy hour from 5 - 8pm.